We had continue our presentation of Past, Present and Future technology lately this morning and we experience lots of fun and enjoyment in the presentation. Even though there were some sort of sermons but we had prove that our professor was also a considerate one. I am glad of what had happened this morning since we all had survive on the presentation of topics. I am also glad that the presentation of Past technologies was postponed and change to the next year schedule. Therefore we and my group mates could eventually make our presentation more presentable and eye catching. 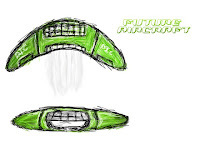 This is the sketch of my group mate Mr. Eric Ibasco about our future aircraft technology which features. 10 comments to "Another Future Technology Reflection"
hi thanks for visiting my site,I've addded you in my blogroll.Try to visit often.I'll also return my favor. wow.. tag pila ni.? pwede xa pngtravel? wow.such a nice idea of yours..